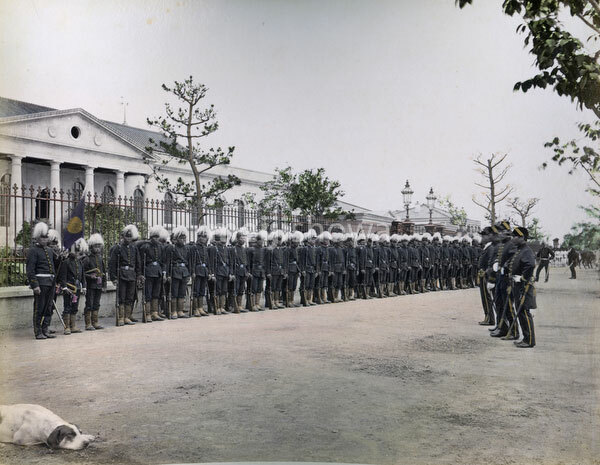 Imperial guards in front of the Imperial Mint in Osaka, 1872 (Meiji 4). Established to modernize Japan’s currency system, the Mint’s inaugural ceremony was held on April 4, 1871. It created the gold yen, equal to the old ryo, with subsidiary units sen (1/100) and rin (1/1000).